Sep 06, 2015 Thank you for sharing your experience with us. We appreciate all feedback and would reach out to you personally if it were possible but this was posted without any contact information. There are is only one unlikely scenario in which a qualified "confirmed" reservation would later be rescinded, which puts BookVIP, as the booking company, in the uncomfortable position of bearing bad-news to the guests. However, if we werent able to find a suitable alternative, you would be refunded 100%. As you can imagine, these promotions sell like hotcakes and as a result, every once in awhile, the participating resort discovers that the rooms have been over-booked. Therefore, the reservations are honored on a first-come, first-serve basis. The resort partner is paying the 70% discount on your behalf when you meet the qualifications they set forth for these promotions. All qualifications, as well as any additional resort fees, taxes, and/or deposits which may be required by any particular resort are reviewed with each guest during the sales call - and are clearly stated, in writing, on the Terms and Conditions, which must be reviewed, agreed to, and accepted by all guests before the reservation can be finalized and forwarded to the resort. I booked a trip. was very excited to be able to take advantage of a great deal and looked forward to buying timeshare in a gorgeous location. The first time I booked I got a call back and confirmed the trip from the hotel themselves. I then 2 days later got a email from BOOKVIp that they could not accommodate my reservation anymore. Since I was withing cancellation dates I canceled and demanded an expedited refund. I then tried again the following week and the Dates were "blocked" they said. SO fine I decided to move my trip out one week to stay at the resort I originally wanted. I then booked again. Got a call back. Confimred my reservation..
. so I finally booked my flight. Three days later got a call and an email and a text that they would not be able to accommodate my trip!! I was hoping to get a call from management but never did. The "supervisor" said she would take care of it but convemniently waited past the cancellation period to tell me she couldn't accommodate me in any way. WHAT A JOKE!!! BEWARE< you get what you pay for. 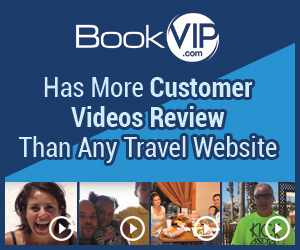 Product or Service Mentioned: Bookvip Vacation Ownership. Review #676802 is a subjective opinion of User676802.